Tea is an evergreen plant of the Camilla Sinesis, originating in China, Tibet and Northern India. 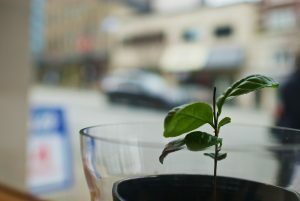 The tea plant has thick leaves, dark green in color, and a strong thick stem. The tea flowers bloom in white or pink and have a delicate fragrance. There are about 200 different species of the tea plant around the world. Consdering that after water, tea is the most popular beverage in the world, you would think that we would know how to make a cup of tea. Tea is well known to provide many health benefits: boosting your immune system, building bone density, protecting against heart disease and cancer, even eliminating bad breath. However, over processing or over brewing the delicate tea leaf strips away its natural oils and antioxidants, essentially killing the leaf – and all of the health benefits it can provide. If you want to have your tea (and drink it too) we at Herbal Republic believe that the only tea to drink is whole leaf tea. Cutting the leaf or over brewing the tea lets the natural oils of tea to evaporate and leaves the tea tasteless.